Just new 4000 finished sq. feet custom home, still under warranty. 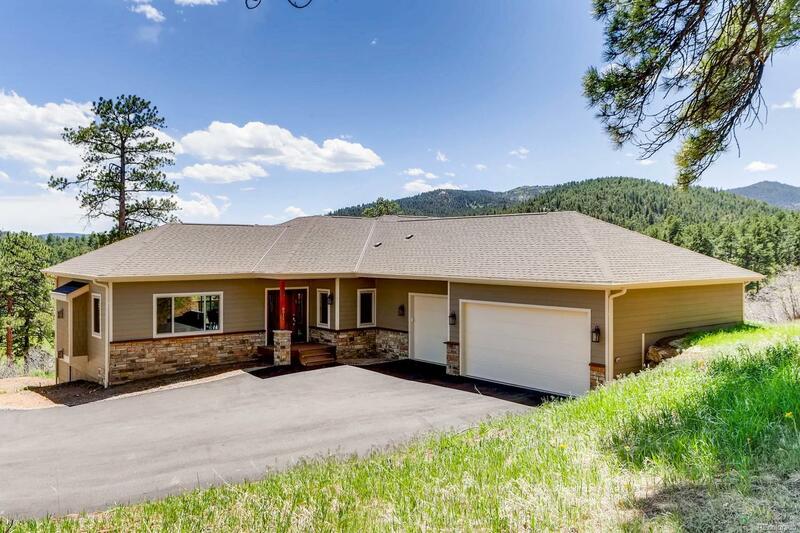 2.27 acres on a sunny, south facing, beautiful and private corner lot with mountain & meadow views. Conveniently located within 5 minutes to shopping and restaurants, minutes to C470, and an easy commute to Denver. Main level vaulted ceiling master suite, luxury master bath and linen closet; gourmet kitchen, walk in pantry, stainless steel appliances, hood, gas stove, granite, large dining area; vaulted ceiling living room; high efficient natural gas fireplace; oversized composite deck, laundry room with new washer/dryer; oakwood & tile flooring throughout. Lower level boasts a large family room with wet bar; recreation room with another fireplace; two large bedrooms with walk in closets with another bathroom, and a large patio that opens up to a beautiful and private backyard. Home includes instant hot water heater, lots storage spaces & many other features. Enjoy mountain living in this incredible home.